Some time ago we discovered a significant jump in the number of chats among our trial customers (around 300% more chats weekly during peak). 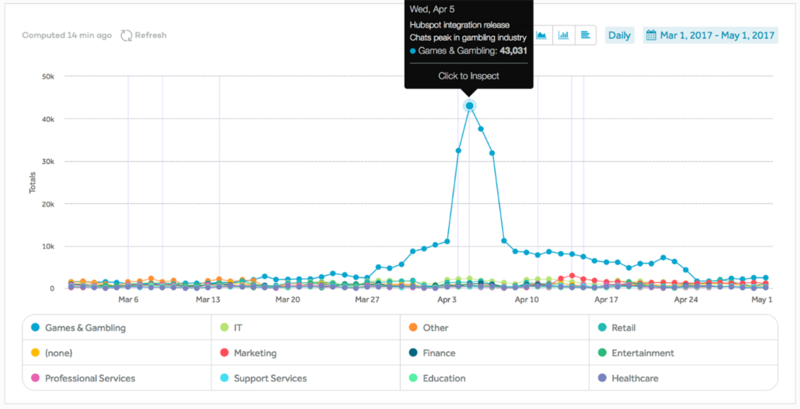 Chart #1: Peak in number of chats for trial licenses (Amplitude). Our first guess for the jump was spam traffic, which sometimes happens. 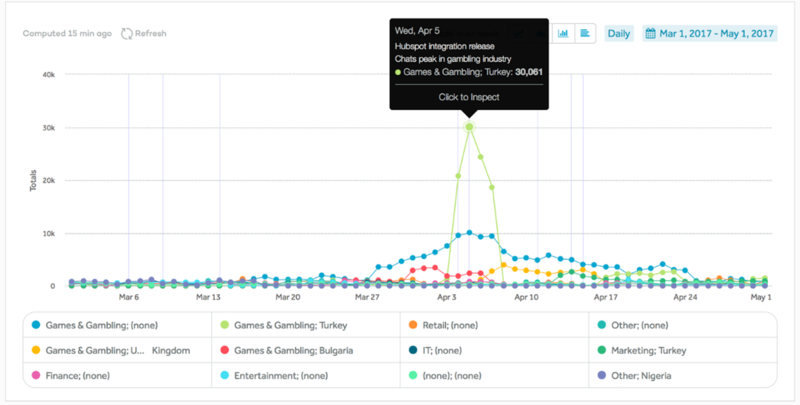 However, after grouping the data by industry, we discovered that the jump happened only for Games and Gambling companies. Chart #2: Peak grouped by industry. After digging a bit more and grouping the data by country, we found out that it was mainly due to Turkish gambling companies. This seemed strangely specific and, after a bit of research, we found out that the top Turkish football league was in the finals stage at that point in time and the Turkish gambling websites were under siege by fans willing to hedge their bets. All in all, traffic that looked like spam turned out to be genuine and resulted in a couple of bigger customers for LiveChat.